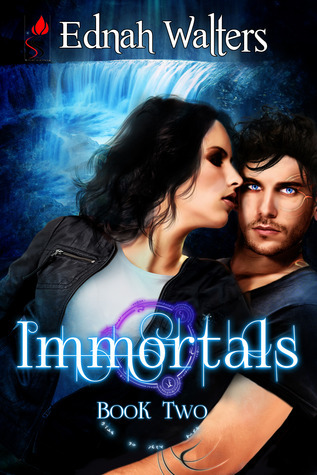 Welcome to my stop on the Immortals blog tour hosted by Xpresso Book Tours! Today I have a very insightful guest post into the life of Ednah Walters to share with you, and don't forget to enter the tour-wide giveaway! Writing is like reading, which means I have to do it or I’ll go insane. I accepted that a long time ago. My husband gets it. The kids get it (most of the time). The mice get it. BUT darn it, the cats just don’t seem to get it. They sleep on my keyboard. Stand on their hind legs, lift themselves up and nudge me with their front paws. They curl up on my chair and act like I’m bothering them when I try to kick them out. And when pick them up and put them outside my door, that’s when they push on the door like bratty little kids. I swear, my cats are possessed. One is worse than the others. So what do I do when I wanted to write undisturbed, I turn on the radio, lock the door and write. Don’t call animal control on me, okay? They are well fed and their litter cleaned, and their fur brushed. By the way, this is what happens when kids are not at school. The cats get to bug them when they are at home. M/W/F: I drop the kids off at school, come home, check my e-mail, stop by FB to check DMs, swing by my critique group because we always check in on Mondays, then I fast draft. For 2-3 hours, I write and do research… Do research and write, until lunch time(cup of spicy noodle soup or salad). In the afternoons, I do internet rounds then going over what I wrote in the morning. Pick up kids time at 3, take them to their activities, back home and cook while they do their homework. Translate that to chaos in the kitchen/dining room area. After dinner, the kids get to watch something on Netflix (we don’t have TV, we watch everything online) while I sneak in an hour of writing. Then it is off to listening to audiobooks (while I either clean up the kitchen or write-if I get my teenage daughter or son don’t have homework and remember to do it). After everyone is in bed at 9:30, I’m back writing until mid-night. T/Th, I mix it up a little. I have zumba class from 9-10, then back to writing. Saturday morning, zumba in the morning then back to writing as the kids take their piano lessons. Afternoons, some fun time with the kids—crafts, movies, games, laundry. Sunday, rest time, movies at the theater, folding laundry, picnic or we go fishing in the summer. During winter, DH and the kids ski while I sit in the lodge and type (I hate downhill skiing). I had to laugh about the cats - My dog does the same thing. Any time she decides she wants attention she'll start pawing at my computer or stand as close as she can to me in front of a book I'm trying to read. She hates it when the computer (or a book) gets more attention than her! Love the cover looks awesome. this looks fantastic! thanks for sharing! I read the synopsis. I love the concept of these books. I also think the covers of both books is awesome. Thank you for this giveaway. I enjoyed the post by Ednah Walters about her writing, what she wrote about her cats I loved, and was laughing because I can relate. Everytime me and my husband sit on the couch to look at stuff on our laptop our one cat sees this as an invitation to come up and curl across the keyboard of the laptop. We try to push him off but the only place he goes is half on keyboard, half on our lap so still cant comfortably try to surf the web, our cats are so spoiled. This book looks and sounds awesome thank you so much for the great giveaway! I'm looking forward to reading this second book in the series. My cat loves to sit in my computer chair. Like everyday. He also always leaves in covered in cat hair, so often I have to clean it off before I can even sit anyway! Loved hearing about the cats! This book sounds so interesting! Thanks for this amazing giveaway - I would love to win! I really really want to read this book. The story sounds great and loved the cover. Always wanted to read one of Ednah's books so thanks for this! I have heard some amazing things about this book/series. And the cover(s) are so pretty...I love the colors. Thanks for the giveaway! I recently picked up the kindle ebook of Runes and am looking forward to starting the series. 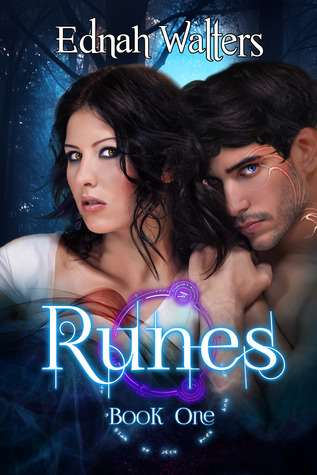 I have seen some rave reviews about it and about the swooniness of Torin. Thanks for the givewaway!